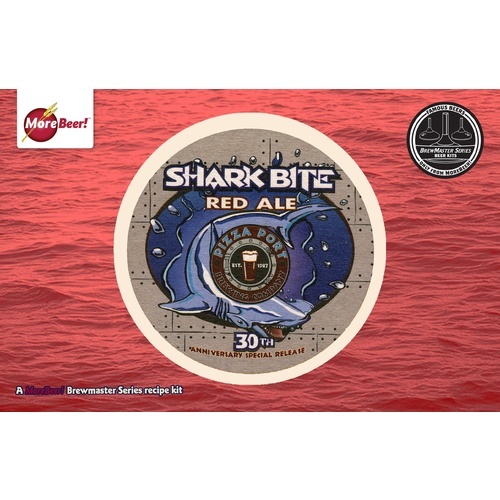 Shark Bite Red is the flagship beer of Pizza Port, and has been brewed more times than any of their standards. 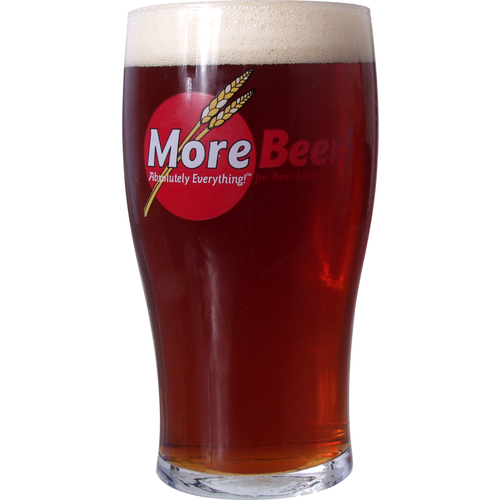 Great red color with a solid malt sweetness matched with a firm hop backbone, all for under 6% ABV. We recommend White Labs California Ale WLP001. Haven't done an Amber/Red yet, wanted to try it. Sounded tasty. Trying this, to (hopefully) find a good Hoppy Red Ale! Great kit and actually is one of my go-to kits! Before I moved away from CA, I had the luck to try the original, and then make a batch and taste it next to the original. This kit is spot on, and is one of my favorite kits from the Brewmaster line of extract kits. Can't go wrong if you are wanting to try something different. I made this to recipe, except I used WLP028 Edinburgh yeast instead of what was recommended by More Beer. It's definitely more on the bitter side, with some bold hop flavors dominating, but after some time in the bottle a bit of rich malt flavor emerged, greatly improving the taste. A good choice if you prefer hoppy reds. Although I live only a short drive to Pizza Port Carlsbad, I haven't been since I brewed this clone of SharkBite in order to taste just how close a clone it really is. However, what I can say is that it is a really nice beer and the recipe does seem to come close to the original. I would suggest after the normal 2 weeks in the bottle, that you refrigerate and then wait another 2 weeks to allow more aging. My first beer was not nearly as good as the ones I'm drinking after 2 weeks +. Definitely a repeat. Very good kit. came out right on the money. This was a really good brew. Not your typical red ale. Nice and hoppy. So I enjoyed it more than most red ales. I would brew again for sure. Went to pizza port a few times while on vacation and this was fermenting at home. Really good beer and a cool place. We really enjoyed the Shark Bite Beer. This was the beer I made while pregnant, and couldn't wait to try after we had our daughter. When she turned 1 month old, and the brew had been bottled, conditioning, and just waiting for me, I finally cracked one open. It was well worth the wait! Perfect for the warm days and cool nights of New England Autumn. This turned out to be my record-of-all-time high gravity brew. Added 2 lbs more DME to the boil, watching and stirring carefully. Violent primary fermentation, blow-off tube into gallon bucket 1/2 filled with water. 10 days in Primary carboy, 21 days in Secondary, yielded 8.5% ABV. So proud of the brew, bottled a few in 22 oz, made my own labels and mailed them to my brother for Xmas.